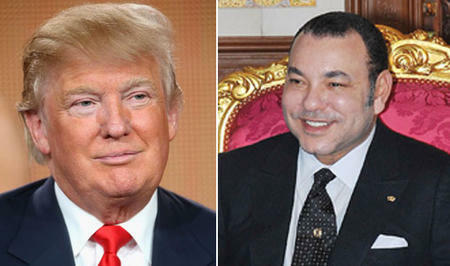 HM King Mohammed VI held on Wednesday a phone conversation with Donald Trump, president-elect of the United States of America, said a statement by the Royal Office. During this phone call, HM the King reiterated his heartfelt and sincere congratulations to Trump over his election as the 45th president of the United States, the statement noted. HM the King and the American president-elect agreed to strive for the reinforcement of the strong, deep, and multidimensional strategic ties between the two countries, it added.